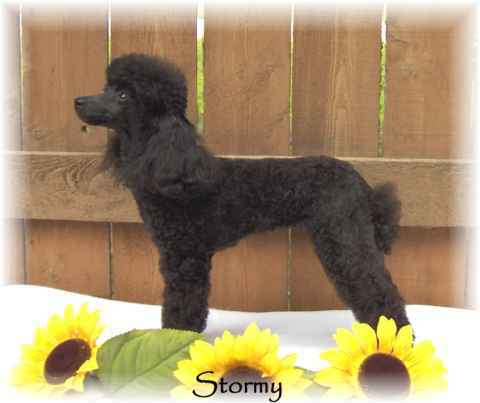 Stormy is a daughter of Papi and Missy, carrying Papi's great coat, eyes and personality. 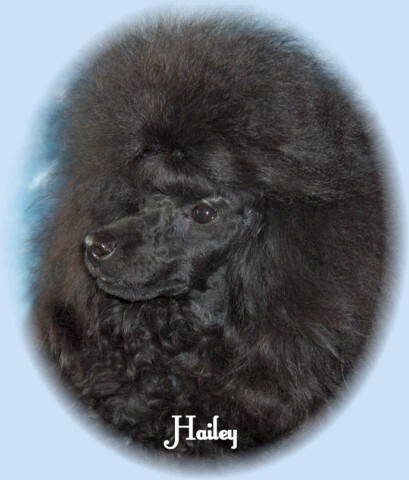 She has produced some beautiful Cafe Au Lait, Black & Blue puppies for us that we are very proud of. Toby, Hailey, Rain & Skye are her kids here at AngelBells and her daughter Carla is at Jo-Rave's . Stormy is so sweet and happy to meet everyone, she is a truely special girl. Hailey is a Stormy daughter. Hailey has been shown Owner-Handled. Her picture has been added to the Show Pictures page. She is a Inky Black girl. She is truely a beautiful girl with so much potential. Rain is also a Stormy daughter. She is a very pretty girl like her sisters and brother. She is a real sweetheart and loves giving everyone kisses. She has cleared out to a pretty Cafe`Au Lait. 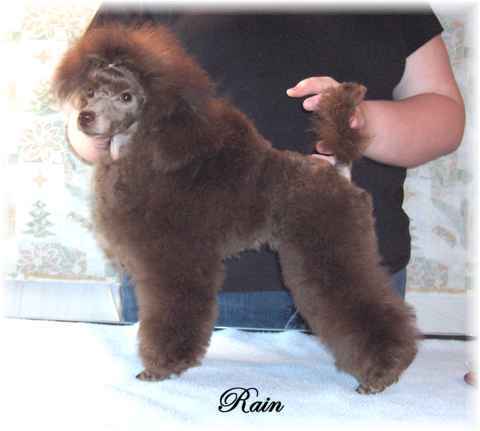 Rain has been bred to Ch. Baliwick Buffalo Bill "Cody". We are happy to announce Rain has had two beautiful brown boys.